I’ll be the first to admit, I have been blessed with an amazing head of hair. It’s one of my favorite features. Keeping your hair strong and beautiful is important, especially after the harsh summer months. Due to humidity, sun exposure, and other environmental factors, our hair can go through a lot this time of year. Admittedly, my hair was in need of a little TLC so I was thrilled to meet with Marco Pelusi at his chic studio nestled in the heart of the West Hollywood Design District on Robertson Boulevard. 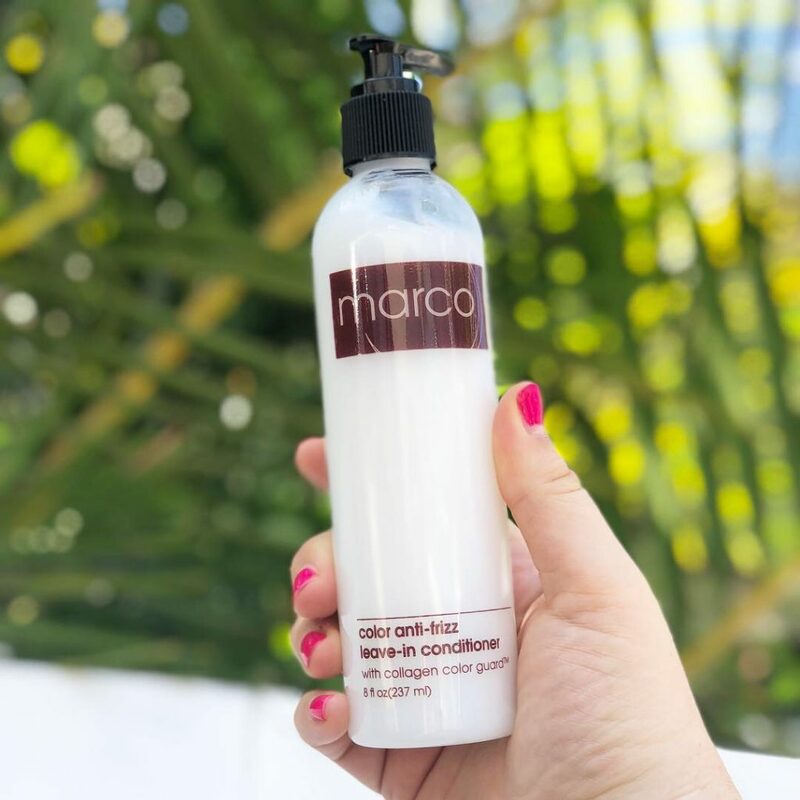 Globally recognized for his work and maintaining a top notch clientele list chocked full of tastemakers and celebs, Marco is the ultimate color expert. Not only is this guy a color genius (I’ve never had better color done on my hair before!) but his line of products are what really got my attention. He color matched my hair PERFECTLY. But, most notably my hair was incredibly soft after the color treatment, something that usually never happens. Due to his solid list of natural ingredients (and none of the harsh stuff) he basically brought my hair back to LIFE! My favorite product from his line is the anti-frizz leave in conditioner with collagen color guard. This secret weapon has been working wonders on my hair, its no wonder Total Beauty named it as one of their favorites. It’s easy to see why this product is the shining star of his lineup. 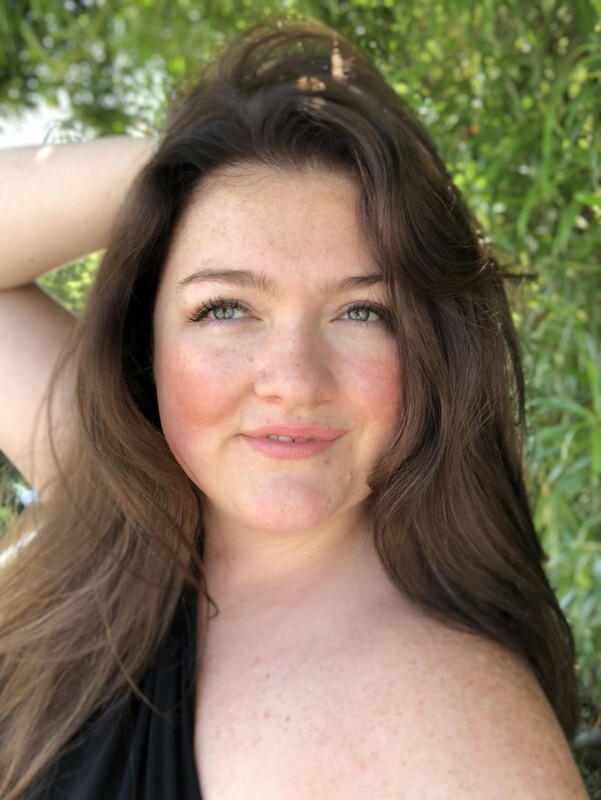 With just one pump, my hair detangled all my knots and the frizz factor was practically non existent and my hair maintained its softness thoughout the day without feeling weighed down. 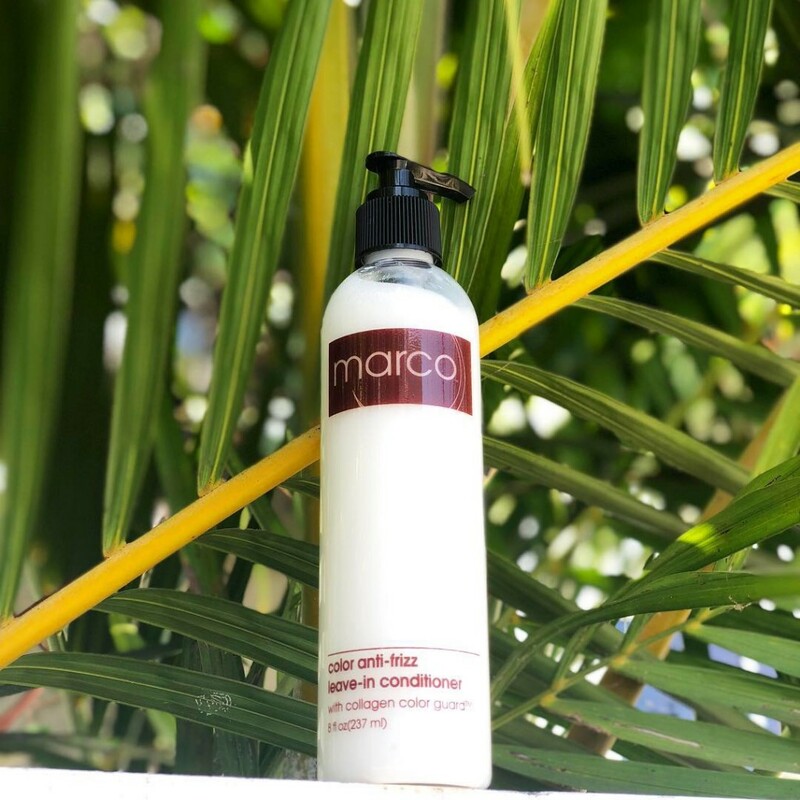 I am loving this product and if you would like to give it a try, Marco is offering my readers 20 percent off with code marco20%off. Also for all you jetsetters, or those who just want to try this product out, there is a travel size version as well! Let me know what you guys think! I saw this on your insta and was curious. I may have to check it out! I have had major frizz issues lately. UGH!! I feel your pain. I absolutely love this stuff though! We’ve had higher than normal humidity in LA lately and its been so helpful. You’re so lucky to have such beautiful hair and thank you for always sharing your fav products with us <3 I love the travel size option, so cute. Have a great day!! Yes do give the travel version a go! Its also 20 percent off right now! !